Biohazard Cleanup is the process of cleaning up a site that has been exposed to materials that can endanger human health. Examples of these are black water, chemical, animal or human waste and crime scene residue - some of the most common biohazards that can contaminate and cripple your home or workplace. These dangerous materials need to be properly contained and cleaned up to prevent even more harm to your property and the remaining occupants. You can be sure that when you go through a traumatic event, you won't have to clean up on your own. We, at Best Cleaning and Disaster Restoration Services, have trained professionals who can safely clean and remove all biohazardous substances and can dispose of them properly, with the care and respect that they deserve, in accordance with OSHA and health regulations. Armed with the needed safety equipment and cleaning products, we can transform unsafe environments back into sanitary and safe homes and offices. When you experience an incident that involves biohazard materials, don't hesitate to call Best Cleaning and Disaster Restoration Services at 970-235-9151, so we can respond promptly and contain and remove all harmful chemicals and elements involved. Our goal is to make sure that your home or office is safe once more, and that your home or office space won't be an ongoing health threat. It's important to know that you shouldn't attempt to clean up any biohazard problems yourself, as complications may arise if you handle these contaminated materials without the proper equipment, training or cleaning products for the job. 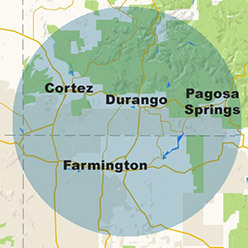 So, if you live in the Four Corners Region (including Cortez, Durango, Farmington and Pagosa Springs), or in the surrounding area, don't hesitate to call us, or to visit our contact page if you have any more questions or concerns. We're ready to guide you to a cleaner, safer home or office after unfortunate tragedies have struck, so that the healing process can begin. 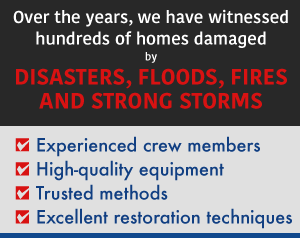 We also offer other services, such as mold remediation, storm damage, fire damage restoration, water damage restoration and many more. If you have any more questions or concerns, don't hesitate to view our contact page.